America’s whimsy reserves have taken a beating over the last seven months, what with, well, everything, so it’s nice to see that Donald Trump’s critics haven’t lost touch with their sillier side. 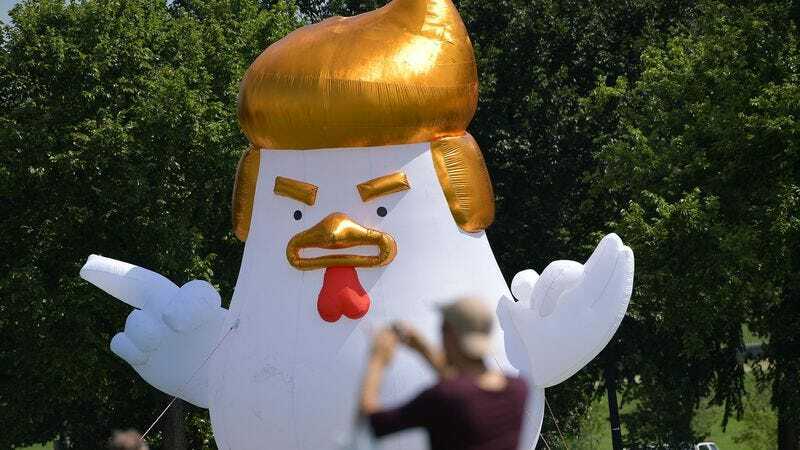 Earlier today, Washington D.C. residents were treated to the sight of an inflatable rooster, hair styled to resemble Trump’s signature tonsorial barnyard, standing on the Ellipse, part of the park across the street from the White House. The chicken was apparently placed there by protesters still hoping to somehow shame the president into following White House precedent and releasing his tax returns.